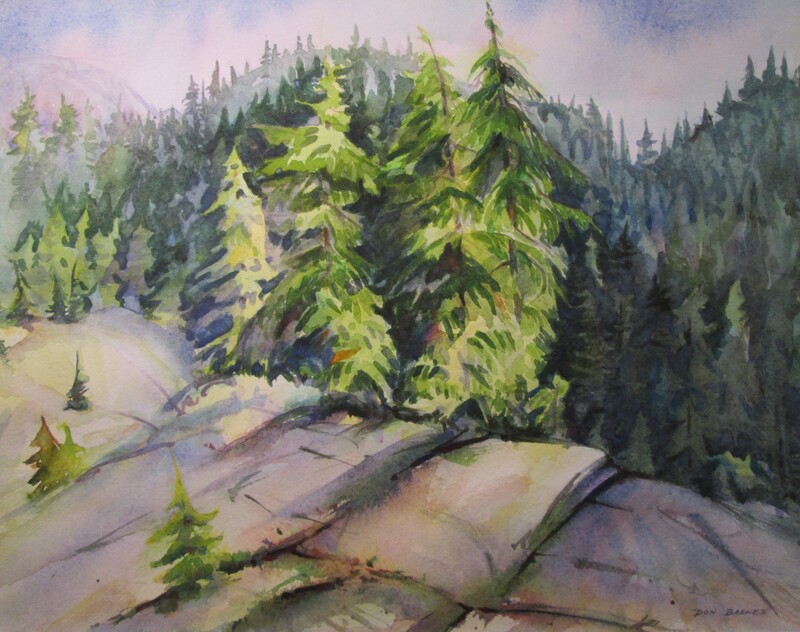 The weather has been great for getting out on location and so I have been hiking and painting in several locations on Mt. Seymour. The trails can be a little rough and so it’s helpful to take your time. On my last two day trips to Mt. Seymour I managed to get temporarily lost one day and the next trip I sprained my ankle on the way home. The trails here definitely demand respect. The trail to Goldie Lake from the upper parking lot is short and relatively easy and made for a great day. The lake is a little low on water but still beautiful. 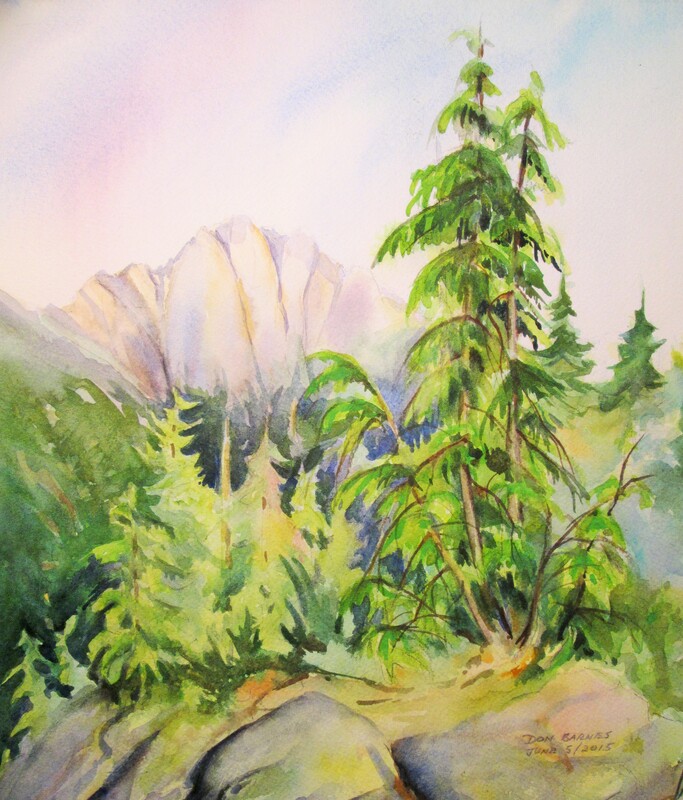 The watercolour painting that I started here I finished at home in my studio. 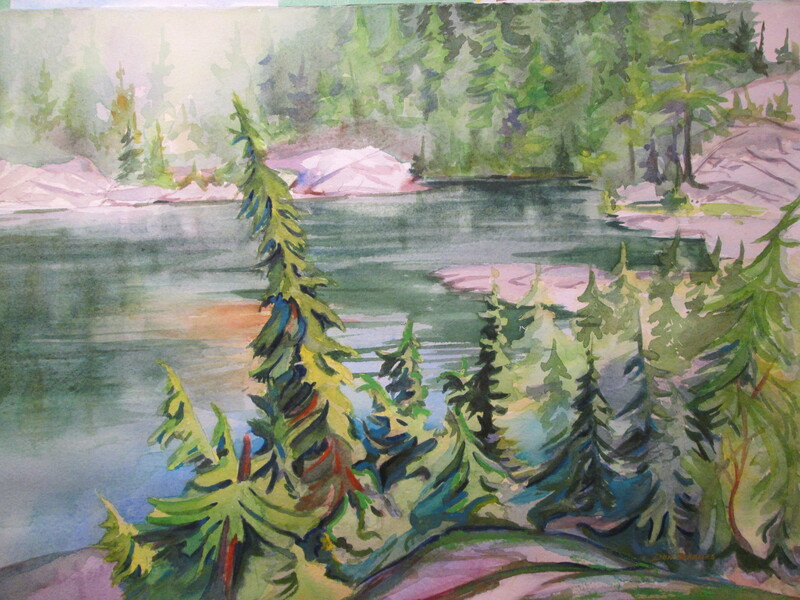 For the last couple of months I have been painting on location on the north shore of Vancouver, BC. 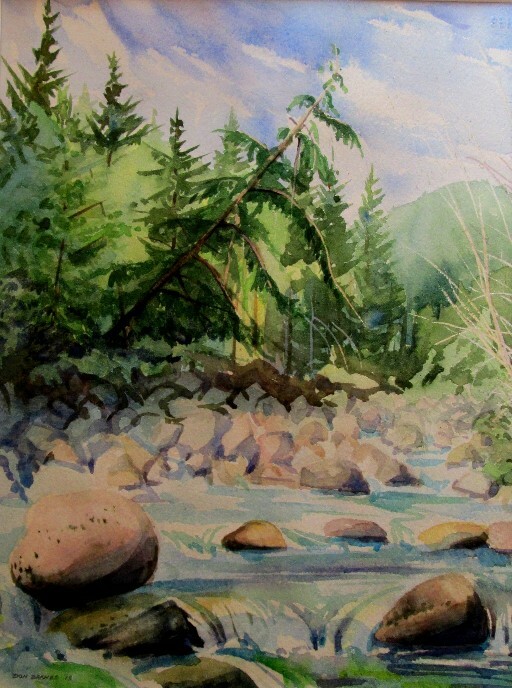 I enjoy getting out of my studio and capturing first impressions of the streams, trees, and mountains. 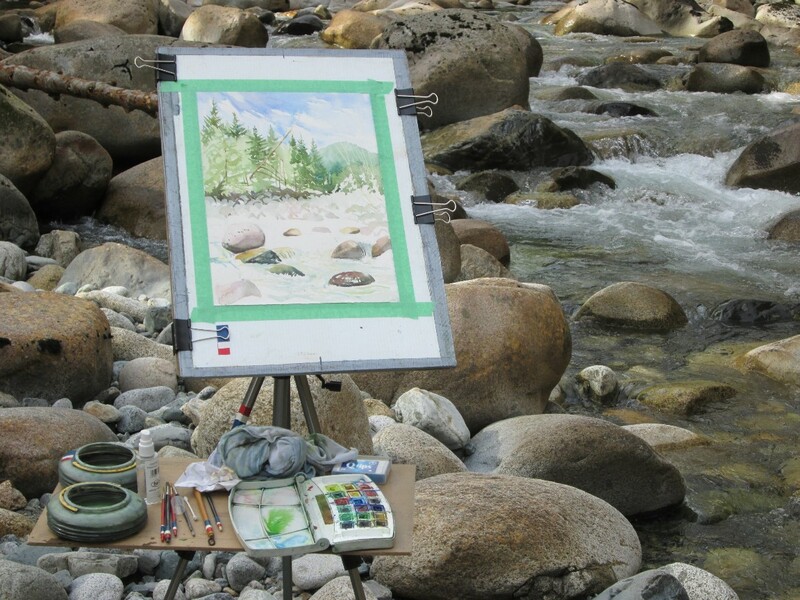 Some of these plein aire sketches were used to create studio paintings but I find that for me, painting outdoors is a great way to learn and improvise. Time and weather force you to keep the paintings simple. 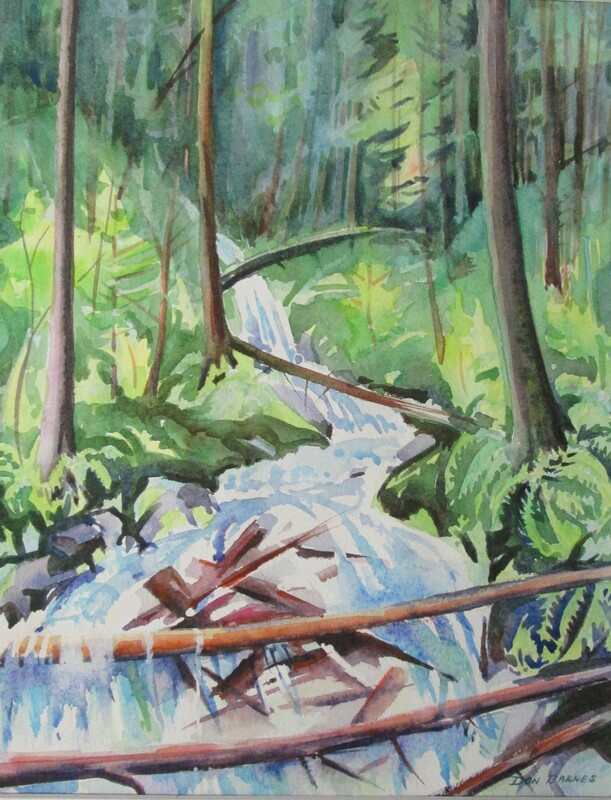 Most of the time I work outdoors using the easel that’s in the photograph of Lynn Creek. 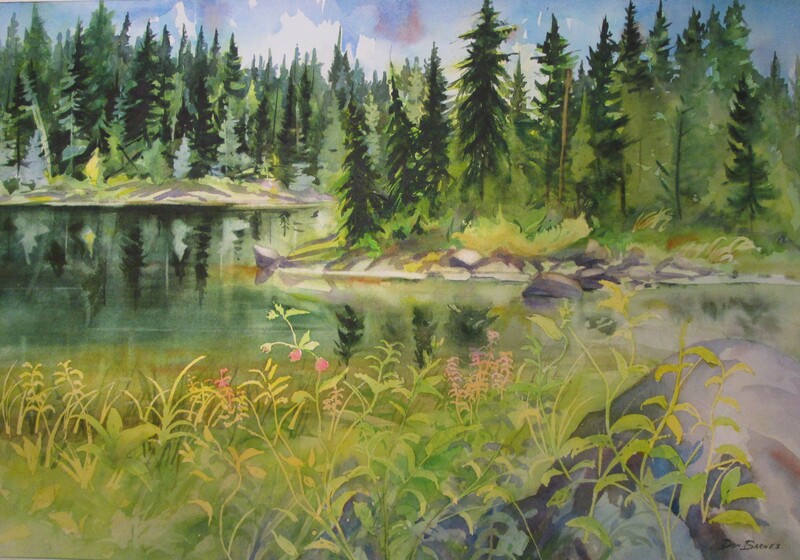 I have included a few more examples of recent plein aire paintings.